It’s opulent and bleak, a city of elegance and romance interspersed with brutal Soviet apartment blocks in dead grey. The different faces of St Petersburg have witnessed war and peace, yet an atmosphere of pure enchantment remains palpable. The backdrop stands stoic. It could be a vast masterpiece in oils or an intricately iced cake with minutely colourful detail created by a million tiny hands. 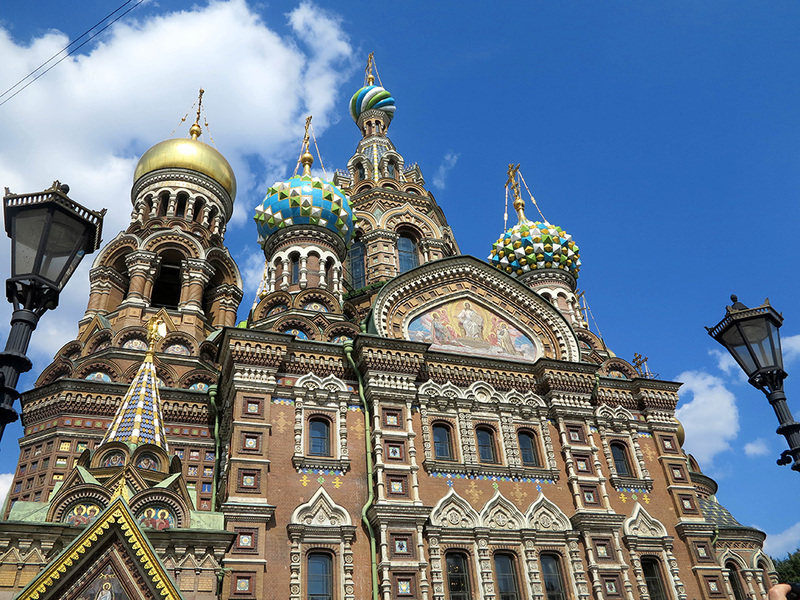 That would certainly be impressive; the Church on Spilled Blood in St Petersburg is more so, with breathtaking detail. 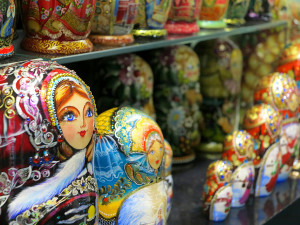 In its forecourt, a microcosm of Russian life plays out effortlessly, and with tenacious charm. Makeshift tables have been set up under awnings and sellers offer trinkets and ice-creams for sale. Weaving through the crowds are ragged gypsies with disheveled hair and layered clothes. Around the edges, sweet sellers offer strings of sugary treats, and a violinist busks oblivious to the surrounding chaos. A bride, with a purple bow nipping in her waist, walks hand in hand with her new husband, but tourists only focus their cameras on the Church on Spilled Blood – most entranced by its beauty and grandeur. Its splendour is rivaled only by iconic St Basil’s in Moscow. The colourful church is built on the spilled blood of Tsar Alexander II who was assassinated there, and an alter inside marks the exact spot. Over 7 000m² of intricate mosaic work clads the inside of the church, depicting scenes of saints and godliness. Even the floor is inlaid with thick-cut marble in varied colours, making the Church on Spilled Blood utterly opulent. Yet, during World War II it was used as a morgue, and in the 40 year Soviet era when religion was outlawed it was a storage facility for theatre props. Other city churches were transformed into ice-rinks and public swimming pools during that time, and frescos were painted over too. Driving through the runway-wide streets of the city, we pass the grey block of the KGB and Elena whispers under her breath. “First they arrested everyone. Now they just suspect everyone.” She’s joking, we think, and are again quickly diverted by the grandiose building fascades in luscious colours. 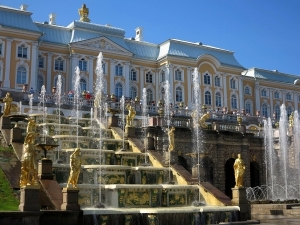 Catherine’s Palace is girly turquoise tipped with gold, and the iconic Hermitage, housing Russia’s biggest art collection, is imposing before even stepping inside. 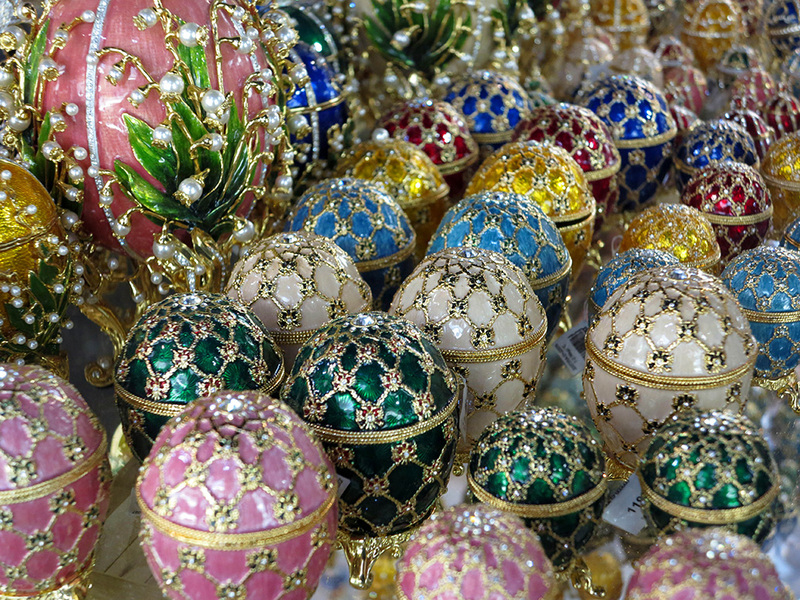 It’s so packed with opulence that if you were to look at each piece for just one minute, it would take a full 11 years. “Did you hear that?” asks Elena, pointing heavenwards. “It’s the noon gun from the Fortress of Peter and Paul. That was a blank cannon shot telling citizens the time, because many didn’t have watches before.” The gold spired church, was the place of worship for royals and remains the tallest building in the city. Inside is pastel paint work and plenty of marble too. 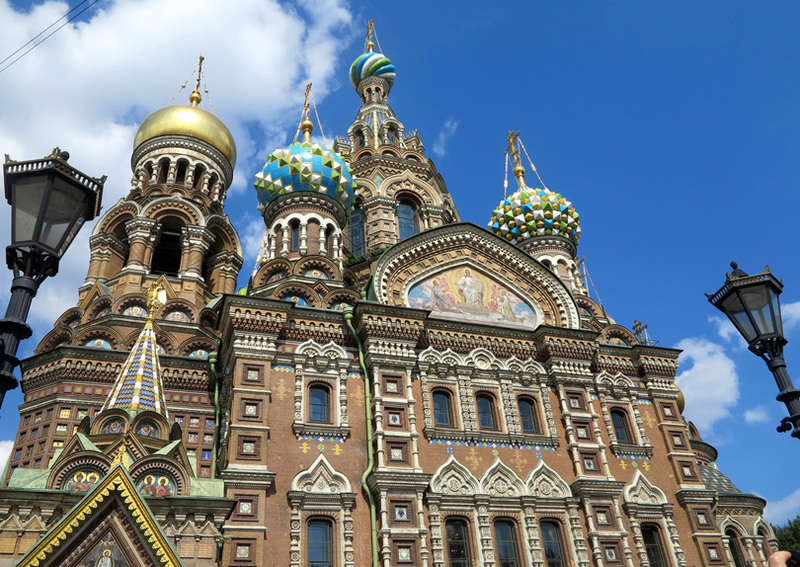 Not far away, the domed edifice of St Isaac’s also beckons mosaic lovers to step inside and be amazed. Some of the vast malachite and lapis lazuli columns outside still bear the scars of stray bullets and bombs from wartimes. Inside, remains perfectly cool and calm. It’s sheer insanity to visit St Petersburg without heading 30km out to Peterhof, the summer home of Tsar Peter the Great who founded the city. But brace yourself for opulence and extravagance on a jaw-dropping scale. 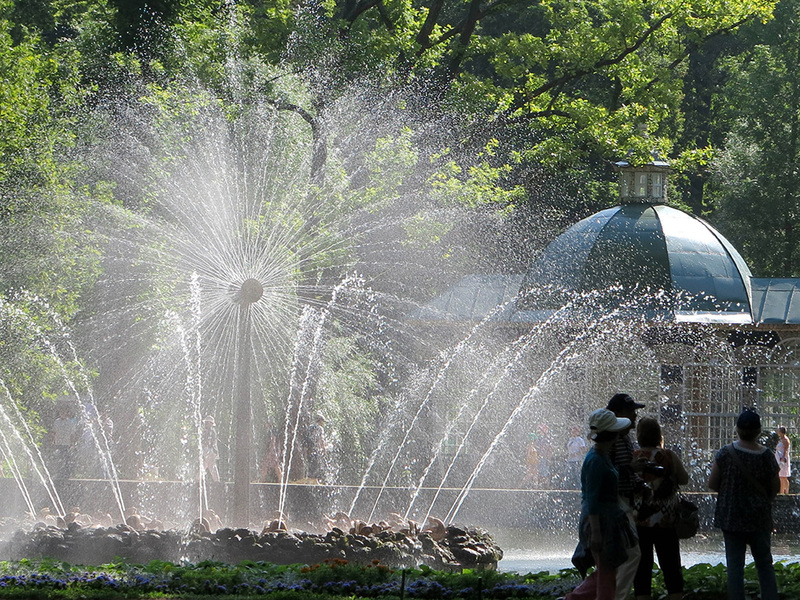 Imagine rooms dipped in gold and polished marble, bejeweled and deliriously ornate, 150 fountains cascading down rolling manicured lawns – some depicting chess boards and suns, others dancing the water waltz. Peter had it all, which isn’t shabby if you know he started out life in a log cabin. 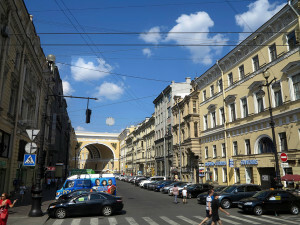 Still now, St Petersburg is a place of rags and riches, extreme opposites and plenty of surprises. It’s sensual by nature and offers endless escapes to other opulent worlds, or simply with a glass of good Russian vodka – the choice is all yours. Getting there – The finest way to get to St Petersburg is arguably by luxury cruise ship up the Neva River. For more information see: www.cruises.co.za or tel 011 327 0327. 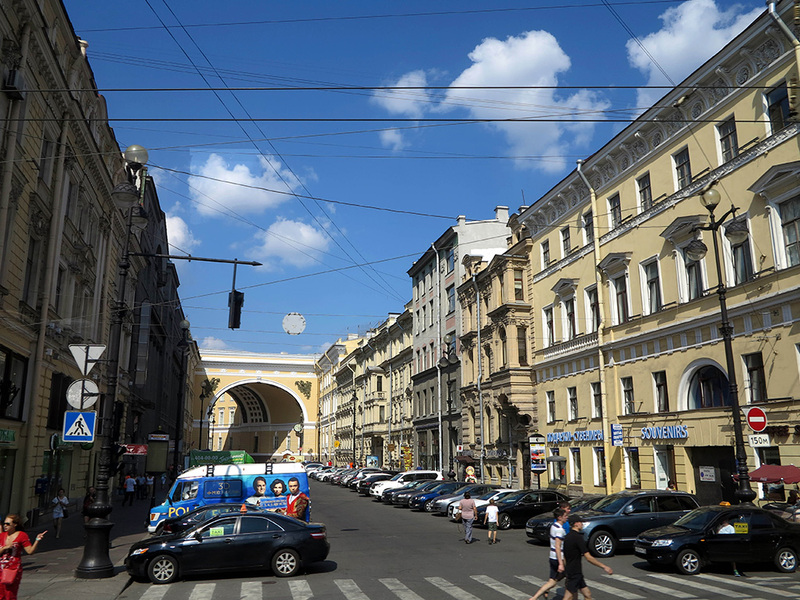 Fast facts – St Petersburg has: over 400 monuments, 221 museums including ones to vodka and Kalishnikovs, 80 theatres, 93 waterways, over 40 islands, 600km of tram and metro lines and 2.5 thousand year old sphinxes guard the city of 5 million people.